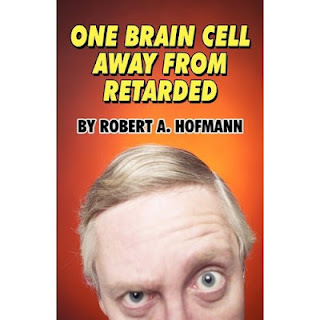 "ROBERT HOFMANN'S TRILOGY IN THREE BOOKS"
There are three books that you simply MUST purchase. SURROUNDED BY INSANITY, AN ORDINARY MADNESS and ONE BRAIN CELL AWAY FROM RETARDED. In our travels from coast to coast we get to meet so many wonderful and exciting people including authors and we had the opportunity to meet Robert Hofmann when we were staying at the Grand Resort and Spa in Ft. Lauderdale, Florida. Robert's books are the types of books that once you start reading, you won't want to put them down until you have completely finished reading them. Each is absolutely hilarious! They are biographical stories of the author's experience thru his life with his early childhood and growing up with friends and family. Robert grew up in New Jersey and what a wild and crazy and interesting wild he has had. Between his family and friends, he guides the reader thru many exciting episodes of his life. It is wickedly, bitchy and hilarious! Everyone in Robert's life so far is a participant in this wonderfully funny and provocative story on his life. It begins with is birth and goes until the last book came out last year. You will laugh at nearly every page! Robert knows exactly what his readers want to hear and he writes in such a great way. He writes openly what many of us only say behind other's backs. One of our favorite parts of the book is when he talks about "pre-speaking", as in "Dinner? That is where we should go" and "Glad for you! That is what I am. Day's after reading this, we were still catching ourselves, "pre" speaking. We don't know if his family and friends are still speaking to him or not but they should be happy that he loves them so much that he can be so open and frank about them. He would indeed be a good friend to have, and he is! We first met him after reading his first book, SURROUNDED BY INSANITY and our friendship has developed as we have seen him and his life-partner Michael when we visit Ft. Lauderdale and even vacationed with them in Maine. 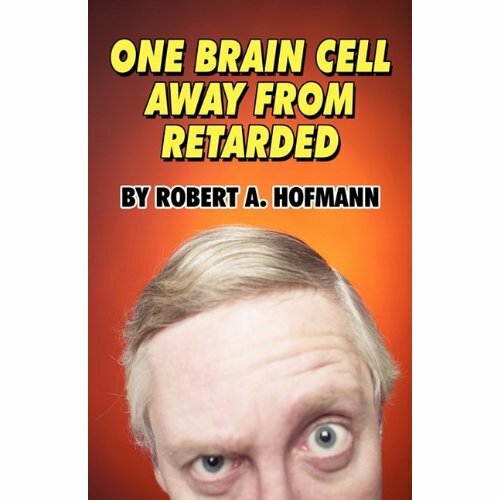 In his last book, ONE BRAIN CELL AWAY FROM RETARDED he devoted one whole chapter on his experiences with us. Robert's books are published by Publish American and may be purchased through all major bookstores. You can also order them from Amazon.com and publishamerica.com. 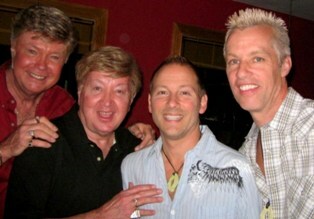 Two years ago Robert and Michael moved from their palatial estate in New Jersey and purchased an estate in Wilton Manors, Florida, a suburb of Ft. Lauderdale where they continue to entertain with grand parties. Fortunately for us, we are always invited when we visit Ft. Lauderdale. This set of three books will make a great holiday present for your friends or for yourself.